When a vehicle is new, the gas mileage ratings are based on ideal conditions, meaning that the car is in good shape, the driver is driving carefully, and the road conditions are optimal. While you can’t control the conditions of your environment, there are a few things you can do regarding the way you drive and maintain your vehicle to get the best gas mileage possible. The more weight your car has to carry, the more gas it takes to get going, so don’t use your vehicle as a storage unit – only take with you what you need. Things like bike racks, boat racks, and roof-top carriers can be useful when you have a lot to take with you, but when you aren’t using them, they only create unnecessary resistance and require more gas to move forward. Like on a bicycle, trying to move forward with under-inflated tires takes a lot more energy. Make sure that your tires are properly inflated to keep your gas mileage at its peak. Your oxygen sensor measures the oxygen in your exhaust before it enters the catalytic converter, and your vehicle uses the resulting data to adjust the fuel injection level. 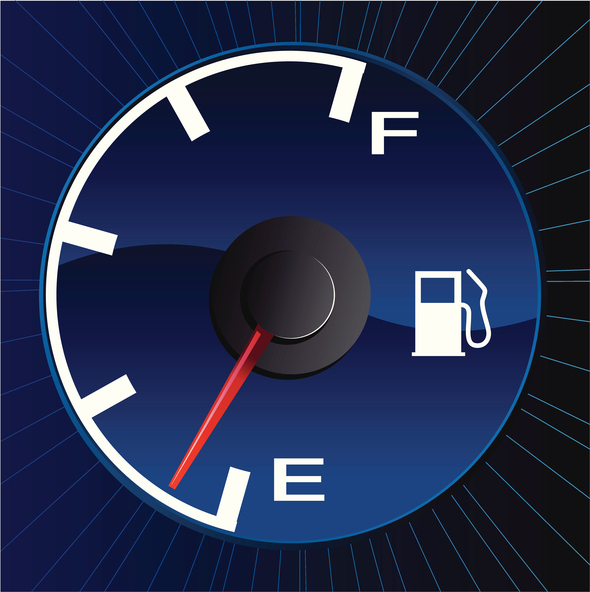 When it’s not working right, it can affect your fuel usage and mileage, so have it checked, especially if your vehicle has 100,000 miles or more. Faulty spark plugs can affect the way that the fuel ignites, and harm your vehicle in more ways than lowering gas mileage. For more a efficient engine, have them checked. Oil helps your engine to run smoothly. When it’s old and in need of being changed, it’s thicker, dirtier, allows more friction, and requires the engine to work harder, using more gas to do the same work. Change it regularly to keep things moving smoothly. Generally, driving slower uses less gas than driving quickly, so avoid speeding. Air Conditioning or Windows Down? At speeds lower than 50 miles per hour, most cars get better gas mileage with the windows down and the air conditioning off. At 50 miles per hour or faster, most cars get better mileage when the windows are up, and using air conditioning is optional. If you need to stop or park for longer than one minute, you’ll use less energy if you turn off the vehicle than leave it idling. The faster you accelerate, the more gas you’re wasting. While it’s best to maintain a constant speed and avoid slowing down and speeding up at all, the more realistic option is to keep acceleration slow.